There’s nothing quite as sweet as a trip to a local ice cream shop on a hot summer day. Thankfully, there is no shortage of delicious ice cream in and around Portland, serving everything from classic vanilla to creative concoctions like cornbread with honey butter. Stick to your favorite flavor or branch out to something completely new (with flaming hot Cheetos sprinkled on top!). Who knows where your ice cream adventures will take you? Here’s the scoop on the best ice cream in Portland! We simply must begin a list on PDX ice cream with this local favorite and iconic ice creamery. The hype is evident as soon as you approach each of the many Salt & Straw locations, where you’ll likely find a long line trailing out the door! But trust us — the wait is so worth it. 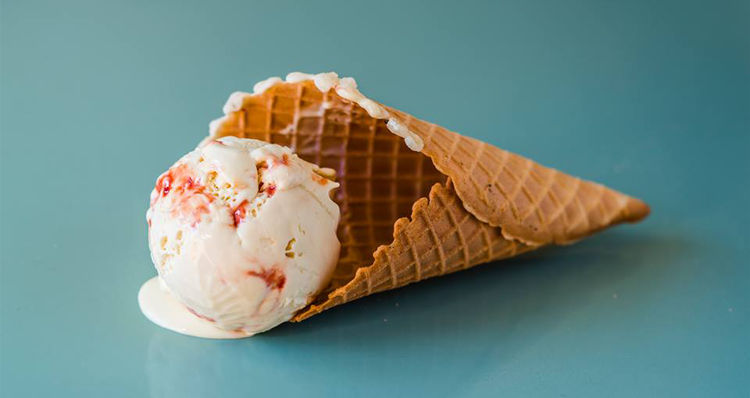 Salt & Straw is known for their eccentric flavors, such as goat cheese marionberry habanero, almond brittle with salted ganache, strawberry honey balsamic with black pepper, and many more. 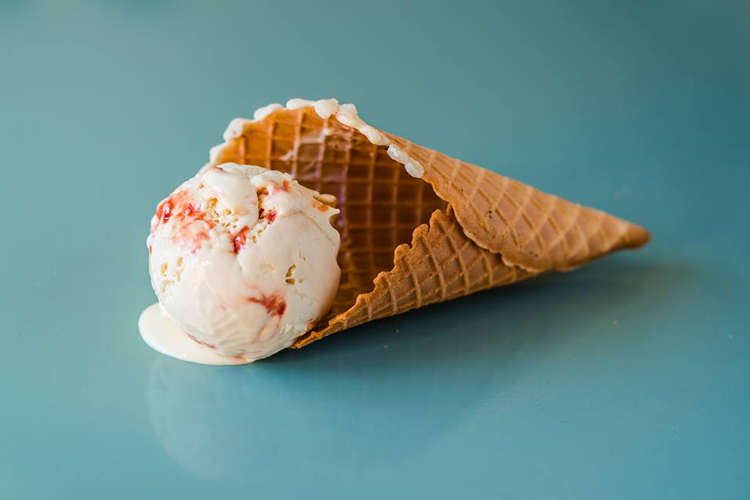 If you already know and love Salt & Straw, you might consider visiting their sister outpost, Wiz Bang Bar, nestled in the Pine Street Market food hall. Here, you’ll find experimental options and fresh spins on the childhood swirl, sundaes, novelties and much more. 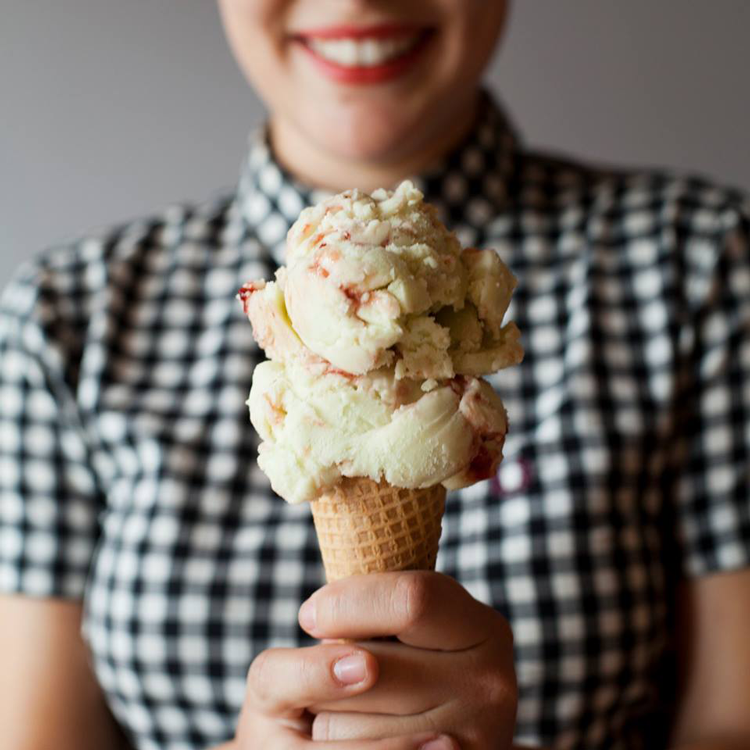 With three locations throughout the city, Ruby Jewel creates extraordinary ice cream handcrafted daily in their North Portland location using ingredients thoughtfully sourced from farmers and food artisans in Oregon and around the Northwest. 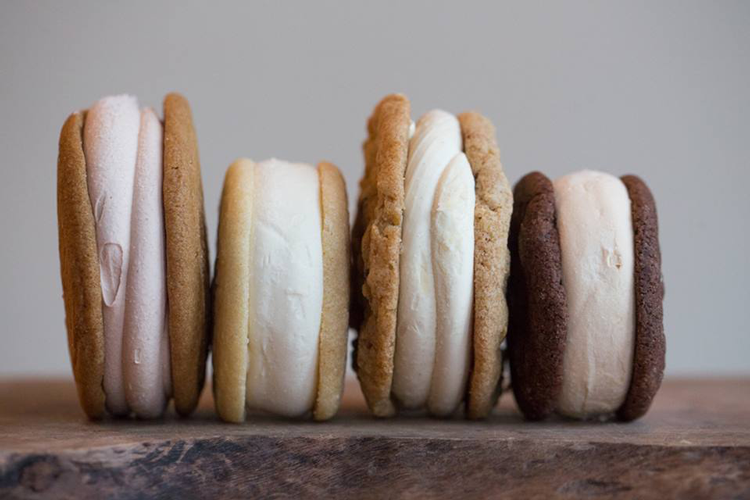 The concept emerged in 2004 when owner Lisa Herlinger decided to fill an artisan ice cream void in the city by introducing her original ice cream sandwiches at a farmers’ market. The rest is history! 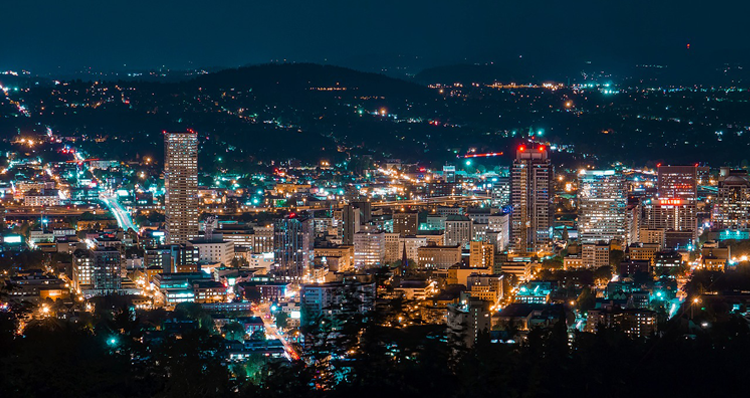 Take a look at the delicious flavors you can find at each location — including North Mississippi, downtown and Southeast Hawthorne. This recent addition serves a range of delicious ice cream flavors from simple vanilla to flaming hot Cheetos. That’s right! 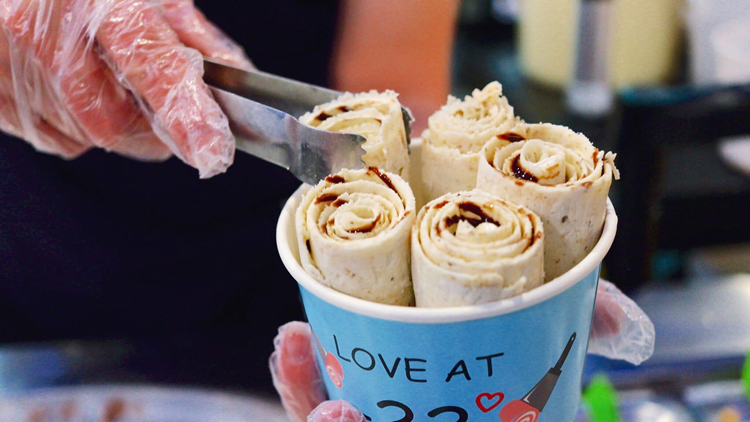 22 Below is making waves in the ice cream world, starting with their unique technique of rolling their ice cream, which is a Thai technique that has only recently taken off in the United States. 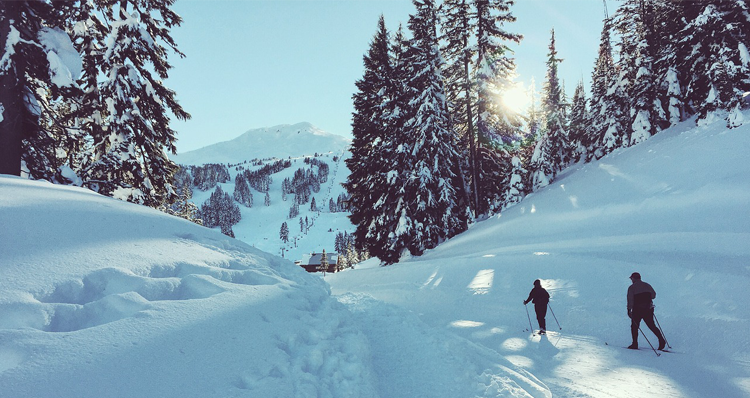 22 Below started in Eugene in 2017 and has since expanded to three locations in Oregon, including the beloved shop in Goose Hollow. This minimalist and modern shop with two locations in the city is a true work of art. And the flavors at Fifty Licks are equally as impressive as the interior motif. Try their inventive concoctions, such as Thai rice, blackstrap gingersnap, cornbread with honey butter, rum’d raisin, pineapple Thai basil sorbet, and marbled halva. Fifty Licks offers a number of vegan options and gluten-free waffle cones so everyone can get in on the ice cream goodness! Photo Courtesy of What’s the Scoop? What’s the Scoop? 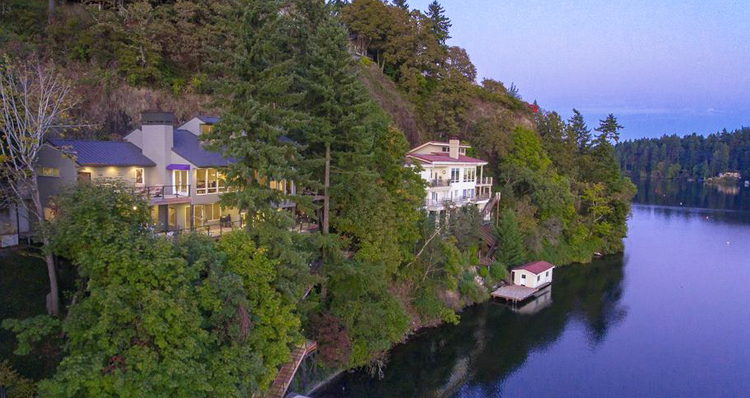 has the whole Portland package. 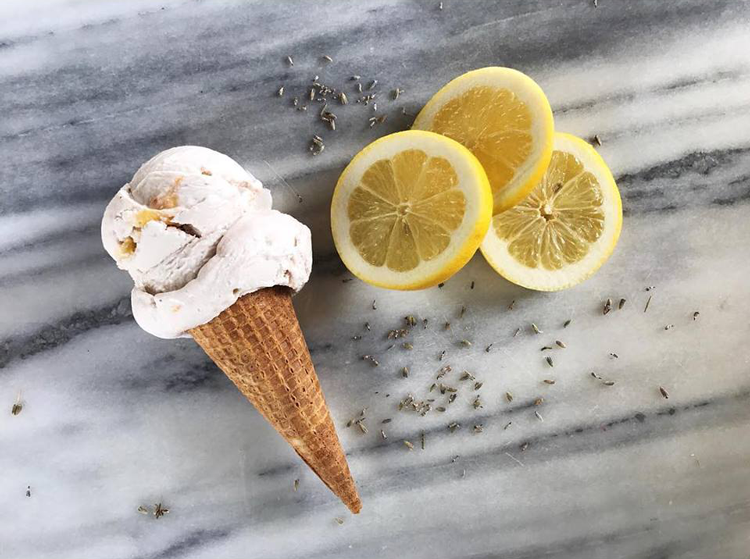 This local shop serves small-batch ice cream made from scratch, uses sustainable business practices, and donates a portion of their profits back to the community. What’s the Scoop? 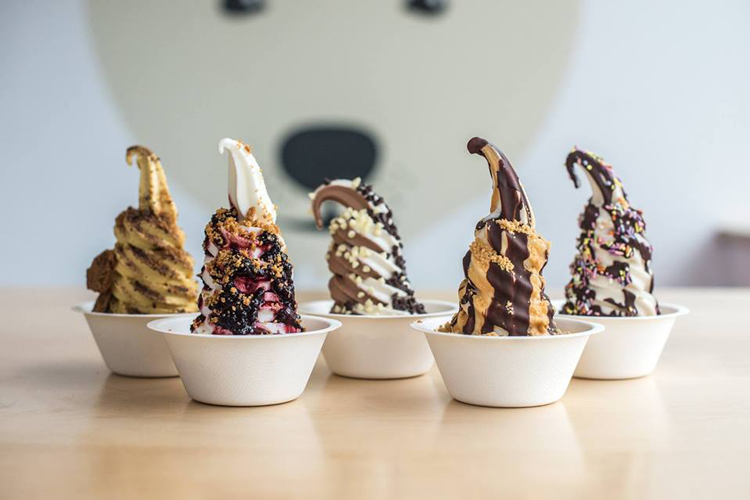 methodically works with each of their ingredients, slowly infusing the cream with real ingredients such as roasted nuts and coffee, and handcrafting their signature fortune cookie cones, toffees, nut brittles, candied fruits and sauces. Find exciting flavors like brown butter almond brittle, peanut butter curry and bourbon toffee, including a number of classics like chocolate, vanilla and mint. Okay, okay. 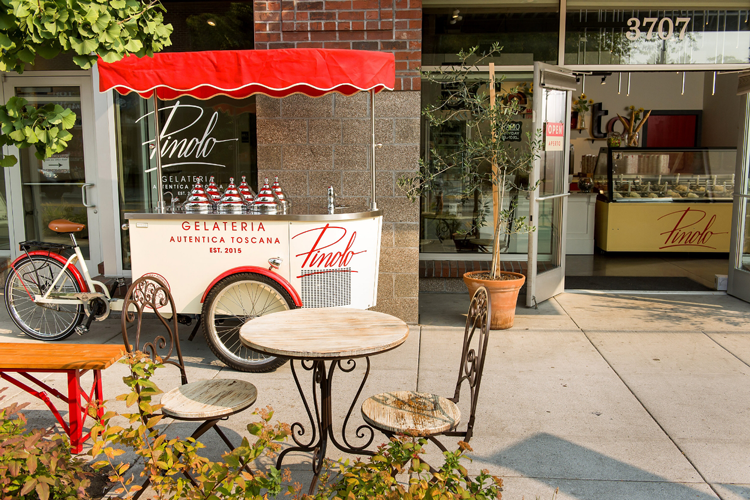 We know that gelato is technically not ice cream — especially if you ask the team at Pinolo Gelato. But this popular gelato destination simply must be mentioned. Owner Sandro Paolini was born in Pisa and launched Pinolo Gelato in 2015 with the intention of reviving traditional Italian gelato-making methods to create pure, simple products in an authentic way. His goal has certainly been accomplished! Stop by this adorable shop along Southeast Division Street, complete with indoor and outdoor seating. Enjoy year-round flavors like chocolate, fior de latte (flower of milk), hazelnut, pistachio and stracciatella, plus a number of rotating flavors. Don’t overlook this modern and vibrant shop in the heart of the Pearl District across from Jamison Square. 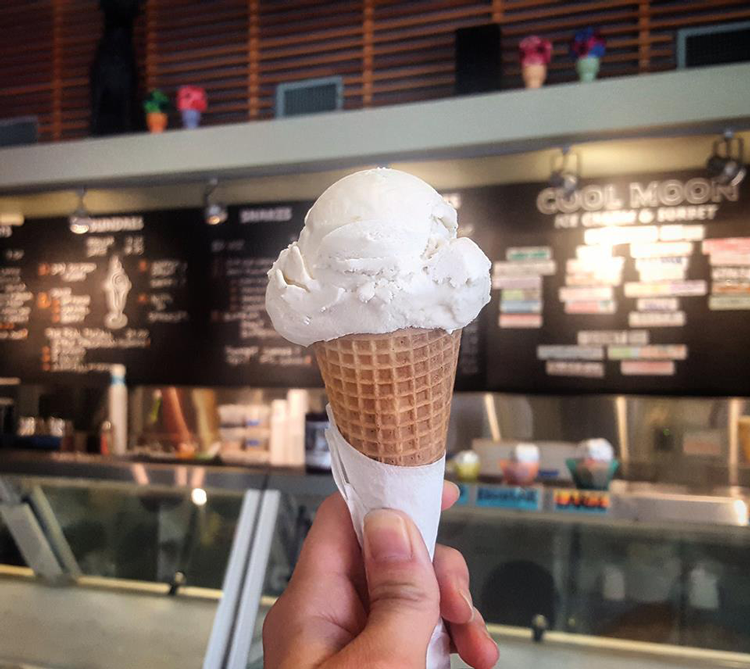 Cool Moon Ice Cream offers a wide array of flavors, from your everyday vanilla (but there are four rotating vanilla flavors!) to Kulfi, made with pistachio, cardamom and rosewater. All of their ice cream is made on site in the store kitchen from 100 percent natural ingredients. Enjoy your selection while you gaze out of large windows or take a stroll through the park just across the street! Eb & Bean is a stand-out in the local ice cream scene. 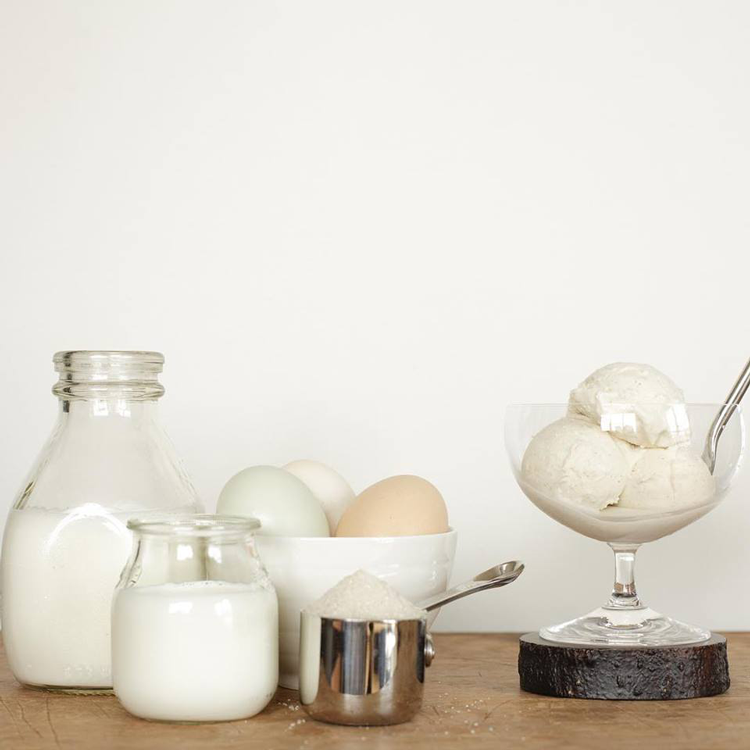 In addition to their organic, probiotic-rich dairy, Eb & Bean serves non-dairy ice cream using nut milk as a base. Our vegan and gluten-free friends will have plenty of options to choose from at this forward-thinking shop! But people rave even more about the top-notch artisanal toppings, including salted vanilla caramel corn, local honey, strawberry rhubarb sauce, candied ginger and cold brew bourbon sauce. If you didn’t think it was possible to cry over a story about ice cream, think again and read the story behind Cloud City Ice Cream. The business serves as a tribute to the owner’s mother, who passed away the day before Cloud City opened in 2011. Many of the flavors are inspired by her favorite desserts, including the caramelized banana ice cream and the roasted cherry mascarpone. Take a look at the current flavors available at this Woodstock ice creamery, including a number of vegan ice creams and sorbets. Which of these shops is your favorite?